Your MEXT scholarship interview panel might not be this large – or this close – but for most applicants, it will be your first time facing a panel interview. It’s hard to prepare for that experience, so prepare what you can: Know the questions and answers in advance to maximize your chances. If you’re applying for the Embassy-recommended MEXT scholarship, have passed the document screening and (maybe) the tests, your next step will be passing the embassy MEXT scholarship interview. In this guide, I will cover the kinds of questions you should expect, what the interviewers are looking for, and other preparation recommendations. Depending on how your country does it, you may have the written exams and the interview on separate days, or they may be different events altogether. Check with the embassy where you are applying for details. Taking the Japanese language proficiency test is mandatory, even if you have no Japanese language ability. As long as you’re applying for a program taught in English, it won’t hurt your application chances if you get a zero on it. If you do have Japanese language proficiency, then this test could help you get out of the six-month Japanese language program that most Embassy-recommended MEXT scholars have to go through before they start their degrees. In addition to the Japanese and English tests, you will have to take several subject area tests, depending on the major you selected in your application. You can find a specific list in the official application guidelines on MEXT’s website. You can find past tests for language proficiency and undergraduate subject tests on JASSO’s website. First (because it’s simpler), you should understand the structure and conduct of the interview. Next, and most importantly, you need to know how you will approach it to maximize your chances. Typically, there will be a panel of three interviewers seated behind desks facing you as you enter the room. There will also be a chair (but usually no desk) for you in the center of the room, around 2-3 m (6-10 feet) away from the interviewers. The set-up and distance can be rather intimidating, but don’t let it get to you. Stay confident and focused on your goals (more on that below). If you approach the interview with the confidence (but not cockiness) that you are the best candidate for the scholarship and answer the questions clearly and confidently, there is a very good chance that you will perform better. Based on comments from past applicants, both on this blog and on other sites, embassy MEXT scholarship interview panels typically seem to consist of three interviewers. Two are embassy officials and one is often a professor from an area university. According to past reports, the professor is typically someone from your general field of research (e.g. social science, engineering, etc.) but may not be well-versed in your particular area. In past examples, I have heard of a Buddhist studies professor being on a panel for an applicant in policy studies and a mechanical engineering professor being on the panel for a software engineering applicant. This means that you should plan to avoid deep, technical discussions of your research. Instead, you want to be able to communicate the purpose, desired outcomes, and importance of your research to someone outside of your field. Keep that in mind as you practice your interview questions. Wear a simple, professional suit to the interview, or the equivalent of a suit in your national dress. Since your interview will be at the embassy or consulate, you’ll have to leave all of your electronics behind at the entrance, but if you do have anything, including a digital watch, make sure that it is on silent mode or off. Expect about a 20-minute interview. When you first enter the room, you should bow to the interview panel. If you are confident in your Japanese, you can also say よろしくお願いします (yoroshiku onegaishimasu). They will direct you to sit. Address your answers to the panel member who asked the question, but make eye contact with the others, as well, while you speak. If you get a multi-part question and forget the second part halfway through your answer, go ahead and ask the questioner to repeat the second half. Answer in the language the question is asked in. If you have indicated some Japanese ability, or taken the Japanese language proficiency test, then you may get some questions in Japanese. These are more designed to evaluate your ability than for the quality of the answer, so don’t worry too much about them. Once the interview is over, you also want to stop at the door, bow again and thank them for the interview. (ありがとうございます arigato gozaimasu). If you cannot give the greetings in Japanese, then it is fine to thank them for their time in English (both on entry and departure), instead. The most important thing you can do to prepare is to have a clear focus on the academic and practical goals of your research. I covered this in the article on writing your Field of Study and Research Program Plan, so check out that article if you haven’t already. One way to think of the MEXT embassy interview is as a chance to expand on that research plan, though there will be some other elements, as well. When I have sat as a member of an entrance exam interview panel, we could immediately tell when an applicant was prepared, confident, and competent. The difference in impression that it makes is enormous! You want to use every question you receive strategically. That means you want to answer each question to the interview panel’s satisfaction and tie it to one of your sales points. Here are some questions past applicants have faced, along with my interpretation of what the interviewers are looking for. At the very least, you should practice and be prepared to address these! The purpose of this line of questioning is to make sure you have a clear research focus and know your field. 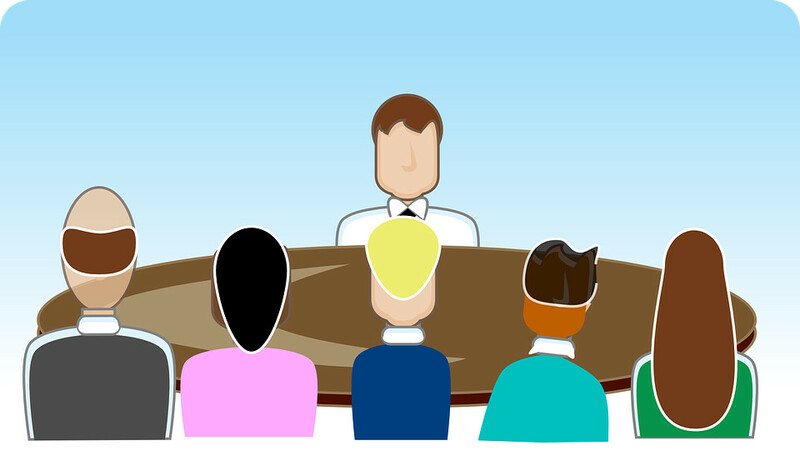 The interview panel has read (or at least scanned) your Field of Study and Research Program Plan, so expand on the contents there and particularly on connecting your studies to your academic and practical outcomes. Why do you want to study that topic? This line of questioning is also focused on your intended outcomes. It is OK to mention personal inspiration that started you on this path, but your focus should be on what you want to accomplish in the future. Remember the panel is looking at you as an investment in positive relations between your country and Japan, so discussing outcomes that benefit both countries or bring them closer together is going to be helpful here. Also, remember here that your panel is not experts in your field, so you need to explain yourself clearly. What university do you want to study at in Japan? They may also ask about your contact status with the universities you selected. The purpose of this question is to assess how prepared and proactive you are. If you have been in touch with any professors, and have their informal approval to supervise you, mention that. If you have tried to contact universities but received no response, explain that and tell them that you understand many universities do not write back until after applicants can prove that they’ve passed the Primary Screening, so you plan to follow up. Why do you want to study in Japan? The purpose of this line of questioning is to determine how serious you are as a scholar and how prepared you are for your studies. Maybe you have always been interested in Japan since you saw your first anime as a child. It’s OK to use that as a brief introduction, but hopefully that is just an introduction and Sailor Moon is not the only reason you want to study microbiology or economics in Japan. If your first encounter with, or passion for Japanese culture got you to look at the country in more detail and that helped you find a field of study or field of work where you could contribute to relations between Japan and your home country, that is an excellent thing to bring up. If Japanese research or technical expertise in your field is more advanced than in your country and you want to leverage Japanese experience to benefit your homeland, that’s a great thing to mention, too! How do you think you will be able to handle living in Japan? This line of questioning is intended to determine if you’ll be able to settle into life in Japan without any disruption to your studies. If you have experience living in Japan for any length of time, you can bring that up as part of your example of how you will succeed. If you don’t have any experience living in Japan, then you should give examples of how you are adjustable to other cultures or uncomfortable situations, such as friendships with people from other cultures, experience living abroad in other countries, or any experience interacting with foreigners, especially Japanese. On the other hand, if there are any obvious challenges to you living in Japan, you should mention those and how you will adapt. For example, if you have a spouse and/or children, talk about what they will do while you are in Japan (hint: If you’re bringing them to Japan, MEXT recommends that you come alone first then invite them to Japan on a Dependent Visa after you have settled in.) If you have religious or dietary needs (e.g. halal food), mention how you plan to take on those challenges in Japan. No matter what your needs, there should be groups of international students from the past who had the same needs. Find these groups online and see how they handled the challenges you will face! What do you know about Japan/the Japanese Language? Similar to the previous question, this aims to see how prepared you are to adapt to life in Japan. Take this opportunity to show the panel that you have done some basic research on the status of your research field in Japan as well as what day-to-day life is like in Japan. If you have any Japanese language ability, even if it’s at the level of basic interaction skills, you can bring that up, as well. Seemingly open-ended questions like this can be the most tricky. The key here is that you want to focus and use this to your advantage. If you tell any anecdotes about your past, make sure they relate to one of your sales points. For example, if you moved around a lot as a child, you don’t need to talk about that, unless it specifically relates to your research topic. If you grew up in a single-parent household, that isn’t necessarily relevant. But, if growing up in a single-family household taught you independence and self determination, or inspired you to take action to help others in similar situations, then that is definitely something you want to mention. If you get this kind of question before you have talked about your research interest or intended outcomes, then this is also a great opportunity to introduce those. What inspired you to this research topic? How did your background make you want to create a positive change in the world? What do you plan to do after your studies? I have a lot of people ask me whether it’s “better” to say that you want to work in Japan or go back to your home country. But that’s the wrong question. The best answer is to have a clear plan that involves contributing to relations between your country and Japan. Whether that involves working in Japan, or your home country is not so important. Having a realistic, well thought-out goal is. I have put this list together based on feedback from readers like you and from other blogs and forums, but you could always come up against something I haven’t seen before. If you get a type of question I didn’t include above, let me know in the comments and I’ll add it to the list! The Japanese language exam is required at all levels (undergraduate and graduate). (This is a redirect link to the Study in Japan website that is officially approved to post old tests). I gave a copy of my certificate to the embassy and they said the copies must be attested will they reject my application based on that? If your application documents do not meet the minimum requirements, yes, that can be grounds for your application being rejected. 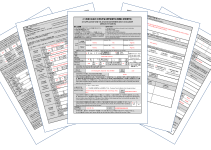 If the requirement is for an original or attested copy of a document and you submit just a photocopy, that would not be considered to meet the requirements, so the document may not be accepted or considered. I recommend that you replace any documents with the attested copies, per the embassy’s instructions, as soon as possible. Hello, I’d like to ask a question. I’m currently a third year student of Japanese philology, hopefully finishing my bachelor degree this June 2019, and I was said to try scholarship to Japan. How does it work? Am I applying as an undergraduate student or as a research (graduate) student? I’m planning to apply for master this year and I hope I’ll pass (but I’ll know the result in June). When I tried to fill the application form for MEXT scholarship earlier, there was a part saying that those who are graduating before September 2019 are not eligible. What does that mean? Do I have to apply next year then? In most cases, it is too late to apply for the MEXT Scholarship to start in 2019 (even where the application deadline has not yet passed, I do not think you have enough time to prepare), so you should be looking at applying for Spring or Fall 2020. I’m not sure what form you were looking at that said that those graduating before Sept 2019 were not eligible. That doesn’t sound right at all, unless you were looking at the Japan Studies Scholarship form, which would not be the right one for you (that is for undergraduate exchange students). Hi ,I am from India ,I lived in Japan for 6 years , will this be of any use for mext and to get admission in university of Tokyo as an undergraduate? Simply having lived in Japan is not an advantage itself. What matters is how you leverage that experience to show how it makes you a better candidate for the scholarship in the reviewer’s eyes! The articles I have written on this website are about the MEXT scholarship for graduate students and I am not as familiar with the application process for undergrad. But I do know that for the undergrad scholarship, you do not choose your university, MEXT chooses for you, so you wouldn’t necessarily be applying to the University of Tokyo on your own. My area of expertise is the MEXT Scholarship for Graduate Students. I have not done any specific research into the scholarship for undergraduates in any detail. My best recommendation to you would be to check the application guidelines when they are posted on the Embassy or Consulate’s website, usually around mid April. I will be in Japan until the end of November of 2019. I want to start with the Embassy Recommendation, but I cannot go back to my country, in the Middle East. I will have classes during the examinations and interview process at the Embassy. Plus, it’s too expensive, but it might be worth it though. To your knowledge, is there any way I could apply through the Embassy Recommendation here from Japan? Thank you for your blog and the information you have been sharing with everyone. You do need to physically appear at the embassy at multiple stages during the Embassy Recommended MEXT scholarship application process. You do not necessarily have to be in your country the whole time, but I do not know any way around appearing for the interview and language tests, for example. 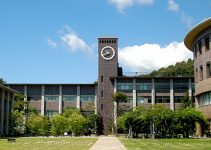 You can apply for the University Recommendation application from within Japan. Firstly, I would like to thank you for such a comprehensive guide of increasing chances of getting the MEXT scholarship. <>. I think I misunderstand this, for example I am a Tatar(this is nation and my historical hometown is Kazan, Tatarstan which is in Russia), however I live in Uzbekistan and I am an Uzbekistan citizenship holder. In my passport, it is written that I am Tatar and not Uzbek. However I am patriot of my country and want to contribute to the mutual relations between Japan and Uzbekistan. Therefore, I wonder if I am eligible for this scholarship? “Nationality” refers to the country where you hold citizenship – the country that has issued your passport. Even if your passport notes your ethnicity, that is not relevant to the scholarship application, only the name of the country that issued the passport is, so for the purpose of the scholarship application, it sounds like your nationality would be Uzbekistan (in Japan, nationality is the name of the country, not the adjective). So, yes, you would be eligible! Hi, how important are my highschool grades? I don’t have bad grades, they’re better than average but they’re not perfect. Do they care that much about this aspect? My expertise is in the scholarship for graduate students, and if you are applying for the scholarship for graduate students, then your high school grades would not matter at all. If you are applying for the scholarship for undergraduate students, I am afraid I do not know what exactly goes into the scoring system, but I would assume that your grades play a significant role. I hope that I can find solution for my issues. Thank you for your advise that is really help us a lot. I have passed the document screening and invited to do the exam next week 22July and If will pass the exam the interview will be in 23July . I need help in exam that is really made me worry a lot just because the English is my second language and I reviewed the exam samples and find it really advance for me eventhough that my English is Excellent and all my undergraduate studies was in English . If you know what part of the test you struggle with most, then I would recommend that you find ESL textbooks that focus on that particular issue and study those. I’m afraid I am not an expert on ESL resources, so I would not be the best person to help you. Perhaps someone from the English department at your university would be able to offer some suggestions, though! second, i have a question regarding how do i answer ” tale about yourself or introduce yourself” question, can you recommend some key points that should be in the answer? I covered this in the article above under the section about academic background. Essentially, you want to tell the parts of your background that relate to your studies in Japan as well as your sales points, as mentioned in the article. 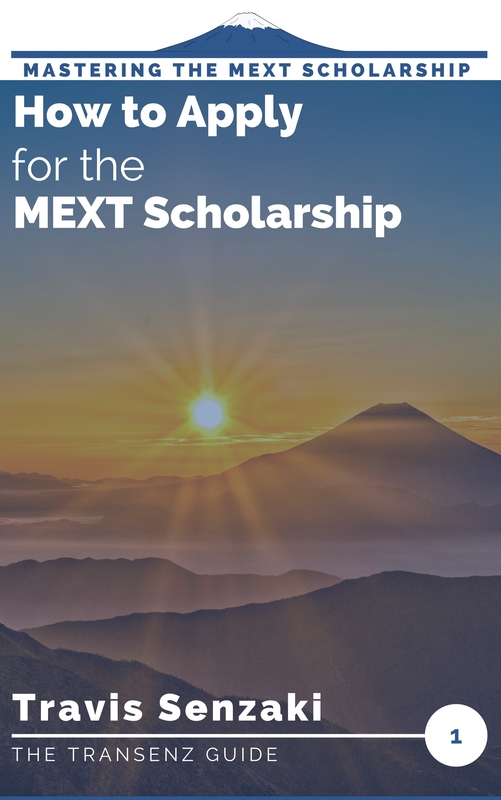 Thank you in advance for your articles about MEXT Scholarship! it helps me a lot so far through my selection process. I’ve passed the documents screening and the language test and will be facing the interview next week. You said it is not necessary to have a LoA in this time, but it will help, right? So I am already sending many emails to many professors (incl. professors listed in my placement preference), but I only got one reply from my first-preferred professor. What happens is that he said my research doesn’t fit his, so I should find other professors from another field (His field is law and he thinks that my research is more of the sociology of law or law and society than pure law). I got his replay long after I applied to MEXT. So I am afraid that it will affect my scholarship process since he was my first choice in the placement preference form and the other (from the pure law field and the sociology of law field) didn’t answer my email. What do you think based on your experience? Congratulations on getting this far in the application process! Universities are not allowed to give you a Letter of Acceptance until after you have passed the Primary Screening, so not having one at this point will not hurt you. During the interview, you can say that you have started reaching out to professors to see if they would be willing to supervise you if you pass the Primary Screening, but have not had any positive responses yet. That is an honest answer and doesn’t bring up the one professor who suggested that you turn to a different field. They should not ask you at this point whether any of your universities have rejected your appeals. But if they do, you can say that one professor suggested that he was not best suited to supervise your research and directed you to a more appropriate field and that you plan to use that advise to continue following up. It is not at all rare for applicants’ first choice professor to direct them to someone else if they don’t think the research is a complete fit! Good Luck in the Interview! What if I’m NOT confident that I did well in one of the subject areas during the qualifying exam but is very confident with my other exam in another subject area. Would the results still be favorable? Unfortunately, I don’t know what to say. I do not have any expertise in the scholarship for undergraduates, so I do not know how big of a factor the individual exams are. I hope someone else can chime in and offer advice! This guide, man. Thank you so much. I’ve gotten a call today saying that I have passed the interview. Your site made the entire preparation a lot easier. This guide in particular impressed me with how easy it made the interview. I admit though, I was super anxious and thinking I had been rejected until that call came in. Congratulations! And thank you very much for your kind comments. I really appreciate hearing back from readers who were able to use the articles to achieve success! Good Luck with your Letters of Acceptance! Hi Travis! I wasn’t sure where the best place to ask you is,but I have a really big question that hasn’t been covered: I think I might have potentially passed the Primary Screening (fingers crossed – I passed both English and Japanese exams and was congratulated on my presentation and my interview went very well) but I was a bit surprised to be called after the documents screening because my Bachelor’s marks are quite average. I have top marks in a UK Masters which however is only 1 year. Is there any chance that, if I passed the Primary Screening, I might be rejected on the bases of my documents later from MEXT during the Second Screening? Thank you so much for all your help, time and invaluable resource! The Secondary Screening is not competitive, so I do not think you have anything to worry about. Unless MEXT discovers that your grades would make you ineligible for the scholarship, then there is no reason they would come back and disqualify you. By the way, “average” grades in one system can sometimes look very good when converted to the MEXT grading scale, so don’t sell yourself short. Your converted grades might be better than you think! The only reasons I know of to get rejected in the Secondary Screening are if you do not acquire a Letter of Recommendation or if your research field is in a prohibited area like weapons technology. This is Pépé from Guinea-Conakry. 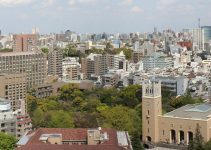 What is your advice on how to apply for admission at a Japanese University? I would recommend that you start reading through some of the articles on the MEXT Scholarship page. Hi travis, I’m grateful for the wonderful posts. I want to ask in a situation where my first choice Professor specializes in the same field of study but has a slightly different research focus to mine. But the second and third does have the same as mine. I want to ask if that will hinder mine chances of being admitted to the 1st choice university. I took tokyo as my first because they are ranked as one of the best in my field . Anticipating. Thanks. If your research proposal is close enough to your professor’s research that he or she can supervise you, then it shouldn’t be a problem if it doesn’t match completely. But then again, I don’t know how “slightly different” your focus is and I can’t say for sure how any individual professor will react. It’s all about getting the letter of acceptance from the university. If you can get that, then you have just as much chance of being placed there as you would if your research was an exact match. Hola! Travis I read your article and its very informative thank you for that. I wanted to ask you after how much time do we usually get response from Embassy after sending our entries and what do we do if we have 0 ability in Japanese language what are we going to do in the test which is mandatory?? Response time depends on the embassy or consulate. I have heard of some getting back to applicants within days and others taking weeks. I would recommend that you check the application guidelines on your particular embassy or consulate’s website to see if they provide any information about how and when candidates will be notified. If you are applying only to degree programs taught in English, then it is fine to turn in the Japanese language test blank. It should not hurt your application to do so. I am applying to doctoral program in Medicine field. Kindly help me by sharing a sample of field of study and research plan for medical students. I’m afraid I do not have a sample Field of Study and Research Program Plan for any field. I did write an article about what that document should cover that may be helpful to you. My expertise is in the MEXT scholarship application process, not career counseling. I’m afraid I don’t know anything about employment opportunities in space engineering fields, whether in Japan or anywhere else. What happens if I mention anime and manga during the interview? Of course you would be permitted anytime. How much free time you have depends on how much time you need to spend in the lab on your research, though. I’d recommend making that your priority. Should I smile and have eye contact during the interview? Yes, I think that’s a very good idea in any interview! How do I contact a department or a professor in the university Im interested i ?? And How and when do I show them that I did ?? I covered how to identify and contact professors in my article about getting started with the Embassy Recommendation MEXT scholarship in the 2018 version. You would let the review committee know during the interview, but you would also fill in that professor’s name in your Placement Preference Form. I just recieved this email with good news! Do you know how big the chances are i would be rejected anyway later in may? I am still really exited though. I got these mail after the Japanese tests and the interview. “Thank you for your participation in the first screening. Please be informed that your application documents and examination results will be forwarded to Tokyo for the second screening. If you have been selected for nomination, the chances of your being rejected later are virtually zero. The secondary screening is not competitive, it is administrative. They will be checking to make sure the embassy did all of its eligibility screening correctly, that you aren’t an internationally-wanted criminal/terrorist/etc., and that you have never been deported from Japan in the past. That kind of thing. You should be hearing more good news in May! Thank you so much for all your info and tips. I just finished my interview and wouldn’t be able to have done it without this. But I am wondering. I am studying Japanese and economics at my university right now. Before i had the interview , I made a Japanese test. My interview went really good i think, but i am not so confident about the test. Wich is the most important? And could a good interview safe a bad test? May I ask what process you are applying for that you had the interview and Japanese test at this time of year? That might help me better answer your question. As for the interview saving the test, it really depends on so many other variables – including your competition. In general, I can say that if you are applying for a program that is taught in Japanese, then a bad test might be difficult to overcome. They may have a specific cut-off score. But if your program is taught in English, then the Japanese test score really isn’t that relevant, in my experience. Overall, language proficiency tests are mostly about hitting a minimum standard. If you hit that standard, then you don’t really get bonus points for doing better. Or if you do, those points are going to be less significant than your interview and other research-related measures. Thank you so much for your fast reply. The university where i study has a lot of influence, because of that they were able to push back the date of the test and interview for a couple of weeks. This is why it is so late. I applied for a scholarship for this year 2018. My course in Japan would start at the end of september until the end of August 2019. It is a scholarship speciffically intented for students who are currently enrolled in Japanese studies, so a bad test would indeed be a dealbreaker. The test consisted out of 3 diffrent parts, each becoming more difficult as the test went on. The first part went good, the second ok and the last was just to difficult. I think my nervousness will also play a big part in this. The pannel interview went as you described, but because I am enrolled in Japanese studies the asked me to do a 自己紹介 before we started. I was really nervous and not so prepared, but it went alright. Maybe this would be a great tip to give fellow mext appliers. Please prepare a jikosyoukai. I was also wondering. Is there a possibility to know if your interview went well if you look at the reaction of the jury? They posed a lot of difficult question, but seemed happy with the awnser and didn’t continue to ask more indept questions. If they are satisfied with my awsner, is this a good thing or does it mean the aren’t interested? Sorry for the long reply. Thank you for the reply. I’m vaguely familiar with the Japan Studies Scholarship from having worked with students on it at my last university, but I am not as familiar with the details of the application process as I am with the scholarship for graduate studies. If it’s the same test that they use for the graduate scholarship, it’s designed to match the levels of the JLPT and to figure out where you might be along that test’s scores. If the last section was too hard, that was probably the N1 level. But you probably don’t need to be at that level, so I wouldn’t worry about it too much. Since it’s a placement-style test, they’re not going to be looking at your overall score to the same degree, I don’t think. Thanks for the 自己紹介 tip. I must have missed that! It’s really hard to tell your interview results from the jury’s reaction. I’ve talked to loads of applicants who were sure they had no chance because there was someone one the jury who was just constantly attacking them, but that was a role-play as much as anything. Some people decide to be hard on everyone just to test your reaction to stress. (Not having that person on your jury is not necessarily a bad sign though, so don’t worry). They probably have a set scheme of questions to ask each applicant and are not as flexible with digging in further, unless they have extra time, so I wouldn’t worry about that much either. Japanese interviews can be fairly rigid. Thank you so much. And the thing is though there was one Japanese guy who was very hard on everybody. To one of the candidats he flatout said: “I don’t think you deserve this sholarship. ” But to me he posed a difficult queston, but was satified with the awnser I think. I am not really sure now if that is good or bad. Thank you for sharing the further details. I don’t know how to explain that one interviewer, except to say that interviewers are human, too, but I hope it means good news for you in the end! Please let me know when you get your final results. Is MEXT scholarship is conducted every year?I have been influenced by Japanese culture and inspired the higher studies of Japanese universities. MEXT is not conducting examination in 2018 in India. Yes, the MEXT scholarship application happens every year. It usually starts in April, so there may not be any information about next year’s application yet. Where did you hear that it wouldn’t happen in India this year? Greetings to all,I have done my BBA with the specialization in Finance.And the degree is 3 years bachelor degree.So question is can i apply for MEXT scholarship for masters in Finance with this 3 years bachelor degree?Awaiting for your kind reply. I recommend you read my article on Eligibility Criteria for the MEXT Scholarship. Everything I could tell you is already written there! Hello Travis, thank you for the wonderful guides. It has helped me a lot in the application process. I passed the primary screening and got the letter of acceptance from the unis that I wanted. But I just want to ask, what are the chances of me actually getting the scholarship after this? Because there’s still a chance that I won’t get it due to budget reasons etc, right? I heard from someone that they didn’t get the scholarship because the embassy called them and said they didn’t get it due to budget reasons despite passing primary screening, so I don’t wanna keep my hopes up high. Thank you for answering. Congratulations! It sounds like you are well on your way. I’m glad you’ve found the guides useful on your way! Personally, I’ve never heard of anyone who passed the primary screening and got at least one LoA not receiving the scholarship for budgetary reasons before. That’s between hundreds of commenters here and well over a thousand forum posts that I’ve been reading on other sites. The person you spoke to is the first example I’ve ever heard of. So it’s possible, I suppose, but I’d say there’s better than a 99.9% chance of your getting the scholarship at this point! Depending on your country, you may get a notification around November or December with the results of the Secondary Screening. (Although some countries don’t release that until you get your final placement). That will be your next milestone. When I’m I getting a response feedback from them. Hopefully you’ve heard back by now. Unfortunately, the schedule varies for every country and I do not have any country-specific information on when they contact successful or unsuccessful applicants. Hi Travis, thanks so much for this guide! It is super helpful! I would like to ask, is it more important for the Japanese interviewers to like you, or the interviewers in your own home country? I mean of course you have to impress all of them, but is it more important for the Japanese interviewers to like you since you’re going to study in their country if selected? Also, a few applicants in my country said that one of the interviewers (from my country) in the panel this year kept trying to find loopholes in their research plan and criticizing it, so I’m kinda scared. What do you think is the best way to counter without sounding too defensive/argumentative? Will the other interviewers view you in a bad light because of this? I don’t have experience with the embassy interviews directly, but in my own interview panel experience, I’ve never been in a position where one interviewer liked a candidate and the others didn’t, or vice versa. In terms of countering, it is perfectly OK to admit that there are some areas in your research plan that you will develop later. Ultimately, your Field of Study and Research Program Plan is a starting point. Be confident about the research you have done so far (and clear about how much you have done), but accept the possibility of change as you research proceeds. Especially once you arrive in Japan and start getting your professor’s guidance. I am writing to express my gratitude to you, for all the information you have given to us regarding MEXT application. Thank you very very much! Such thorough research and writing have helped me tremendously for many months leading to this day, the interview. I think I did okay for the interview, not truly satisfied with my own answers, but it’s okay, I’ve learned a lot throughout this process, and now just have to wait for the result. Whatever it may be, I have done my best. In my experience, it’s the final day of interview at the embassy for my country, and my slot is the final one in the evening. You can imagine the panelists all getting weary, and its up to me to sell the ideas, the plans, make it an interesting session. While you’re talking, just keep it simple and easy to understand, because the panelists are still scanning and skimming the many papers of your forms submissions, they didnt get them to study beforehand, so its up to you to summarize or highlight the main ideas comprehensively. In my case, I didnt even get the questions such as “Why did you choose Japan? How can you adapt?” They were focusing more on the research proposal, as well as my plan after finishing my studies. All the best! How significant is obtaining unofficial acceptance from potential supervisor before interview (primary screening)? I mean they also have given time after primary screening to obtain acceptance. Also is it OK if my past research supervisor gives letter of recommendation or should it be from dean itself? Because university dean doesn’t know me at all. There is no concept of departmental dean here. Obtaining unofficial acceptance in advance shows the interview committee that you are dedicated and a good prospect for the research part of the scholarship. I think it would be a strong mark in your favor, but it is by no means necessary, so if you cannot obtain it, do not worry too much. You cannot officially ask for a letter of acceptance until after you pass the primary screening, anyway. For the Embassy-recommended scholarship, your research supervisor can write the letter of acceptance. For the university-recommended, it would have to be the Dean (not a departmental dean, but a Dean of the Faculty or Dean of the College). Thank you TranSenz. That was a great article with detailed explainations. 1. You have explained little about dress code. I want to know how much Japanese people are concerned about dress code in MEXT interview? 2. My research proposal more focus on my first preference (supervisor). Second and third are quite far related. If I get unofficial acceptance from second or third preference will MEXT reject my application saying your research proposal and potential supervisor are not matching that much? In summary, I want to know whether research proposal is just to assess one’s research knowledge? Is it necessary to conduct same research what we proposed If we get into Japan? I hope questions are clear enough. 1) The dress code isn’t a scored part of the interview, but it will probably affect the interviewers’ initial impression of you. As long as you show up dressed nicely, even if it’s not a suit, you shouldn’t suffer any ill effects. Personally, though, I believe that if you look more like their expectation of what a Japanese student would look like for an interview (how they dressed for their own university/job interviews), then they may be more favorable toward you, even if it’s subconscious. 2) You are going to be required to research in the same field as your Research Proposal, but of course you will end up revising your specific direction with your advisor’s guidance after arriving in Japan, so you’re not going to be held to that exact research plan. You won’t be able to change fields, though. Getting unofficial acceptance prior to the interview would not be a negative thing in any circumstance. If you got unofficial acceptance from a professor that is relatively far from your specific research field, then that would be an indication to the interview panel that the professor (a specialist in your field, which they are not) considered it “close enough” to be comfortable supervising.